The sponsored Point-to-Point has been a long time family tradition held at the Easingwold Point-to-Point. I love horses, I love betting and I love family. Add a baby and it's my perfect day! Click here to watch the vlog or see below. Also, click here for last year's vlog! I got a new camera so let me know what you think of the video quality. Personally, I really like it. I also like the quality of photos. I'm still playing with it and the settings but any feedback or tips is greatly appreciated. I got the Canon PowerShot SX610HS! I took so many great pictures! It was a little breezy but I curled my hair and although it takes 10 times as long to curl as it does to straighten or leave it natural, I don't mind if it get's messed up because I think it actually looks pretty with wind-inspired curls. Also, side note, did you see my sunglasses?! Correction from the vlog, £5.99 from H+M! The set up is stunning and the weather held off all day so I had the luxury of wearing a cami and a thin cardigan all day. For those that don't know, this board shows the race number, horses running and jockey's riding them. On top of that, it shows any penalties or extra information. I love watching the horses walk around the arena before getting mounted. I think they are such beautiful creatures and so it's an honour to see them but it also helps me decide which horse to back. If the horse seems skittish or burdened, they're probably not going to win. If a horse is relaxed and in good condition, they have a pretty good chance! Also, tip of the day, the horse who wins best turned out, rarely wins the race. That has been proven wrong but usually the plaited mane and tail and shaved pattern = not likely. Of course, the main event is the actual racing. 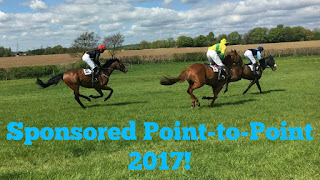 Point-to-Point is a traditional country race that involves both jumps and periods of racing. A large part of this course goes out of view which is a bit of a shame but there are no jumps in that section so it's not as action packed. I took most of these photos on my phone just because I wanted a fast shutter speed to get the perfect shot and I did want to risk the camera failing, having not yet played with it. I defintely realised I'm not quite as fit as I once was. I usually stand by the fence at the far bottom to see them jump as they go around twice and then walk to the top to see the finish line. Well, I only made it back to the top once! I was so slow and out of breath, I ended up watching from the bottom of the hill flat part instead. I just love horses and I love watching the whole thing. After the race, the top 4 of brought into the arena while others are taken to the arena. The horses get congratulated and rewarded with water to drink and a cool down wash. How amazing is this picture!? Of course, one of the big things about this Point-to-Point is that it is the one that my family sponsor. We sponsor the David Westwood Memorial Race in memory of my grandad and it was so fun. My Uncle and I went in to judge best turned out, albeit his wife came in and took over. Then the prize giving after the event. This year my cousins and their mum did it but we tend to alternate. 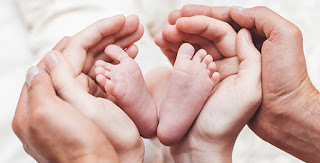 Next year is my mum, sister and mine's turn! It's such a nice day out and lovely to spend with everyone. Some of our friends also came after the sponsor's meal which is always fun too. I ended up coming back with my Uncle because my mum was dropping Jess and her boyfriend off at different locations. I am so glad I did! They were another 2, almost 3 hours! I played with the puppies - they're ten! - for a little bit before finally doing some revision. I know horse racing can be a controversial topic but it is something I have been brought up on and I love so please me nice and respectful!